英文：His Royal Highness The Prince Charles Philip Arthur George, Prince of Wales and Earl of Chester, Duke of Cornwall, Duke of Rothesay, Earl of Carrick, Baron of Renfrew, Lord of the Isles, Prince and Great Steward of Scotland, Knight of the Most Noble Order of the Garter, Knight of the Most Ancient and Most Noble Order of the Thistle, Great Master and First and Principal Knight Grand Cross of the Most Honourable Order of the Bath, Member of the Order of Merit, Knight of the Order of Australia, Member of the Queen's Service Order, Lord of Her Majesty's Most Honourable Privy Council, Aide-de-Camp to Her Majesty. 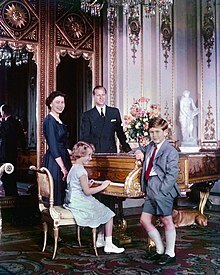 ^ Will Prince Charles be king? Or will he step aside for William after the Queen? Dimbleby, Jonathan. 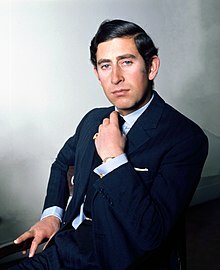 The Prince of Wales: A Biography. New York: William Morrow and Company. 1994. ISBN 0-688-12996-X. Paget, Gerald. The Lineage and Ancestry of H.R.H. Prince Charles, Prince of Wales (2 vols). Edinburgh: Charles Skilton. 1977. ISBN 978-0-284-400161.